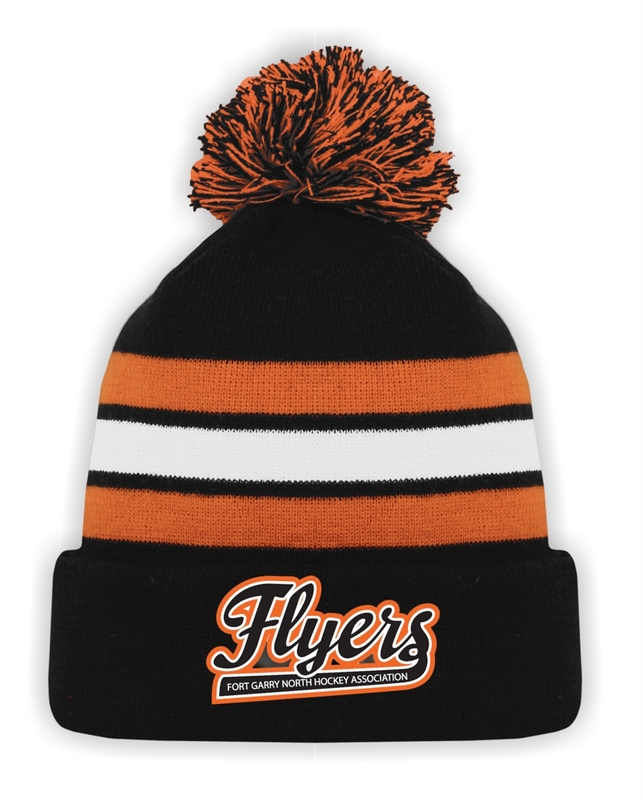 Knitted Beanie Toque with front embroidered logo. 1 x 1 rib knit. Knitted Beanie Toque with front embroidered logo. Available in Black. One size fits most. Add embroidered number to back for $7.00.